WHAT CAN IRELAND do about returning members of Islamic State? That’s what we’re looking at in the third episode of our new weekly podcast The Explainer. In the episode, we look at the case of Irish Islamic State member Lisa Smith, who is Irish and was married to an Islamic State member. We examine the current state of play regarding Islamic State in Syria, why its members are leaving the country, and what Ireland’s options are for returning citizens. In this week’s episode we go on a deep dive into what the current situation is, and what the options are, with guests Professor Pat Dolan of NUI Galway and Ajmal Hussain of the School of Social Sciences in the University of Manchester, and TheJournal.ie senior reporter Michelle Hennessy. 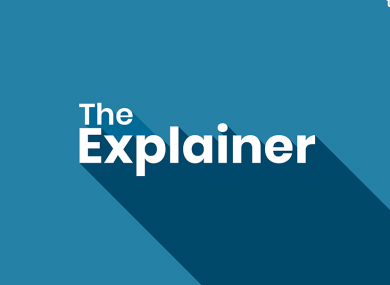 The Explainer was the #2 podcast in the Apple podcast charts in Ireland within several hours of the first episode being released, and the #1 podcast in the News and Politics category. This episode was put together by presenter Sinéad O’Carroll, executive producer Christine Bohan, producer Aoife Barry, assistant producer/technical operator Nicky Ryan and contributing reporter Michelle Hennessy. Thanks to our guests Ajmal Hussain and Pat Dolan. Design by Palash Somani. Email “The Explainer: What can the Irish government do about returning Islamic State members?”. Feedback on “The Explainer: What can the Irish government do about returning Islamic State members?”.